First off the great news we finally reached over 2,000 pages of comics. Quite achievement I'd say for a small website that started off 4 years ago. I want to say thank you to all loyal members and new ones. Without your support and membership the site would off folded years ago. Of course it Monday regular update as always for you first we got 10 pages of Honey B Amazon Nation Saga. As we find out what the Amazon Nation are trying to do. 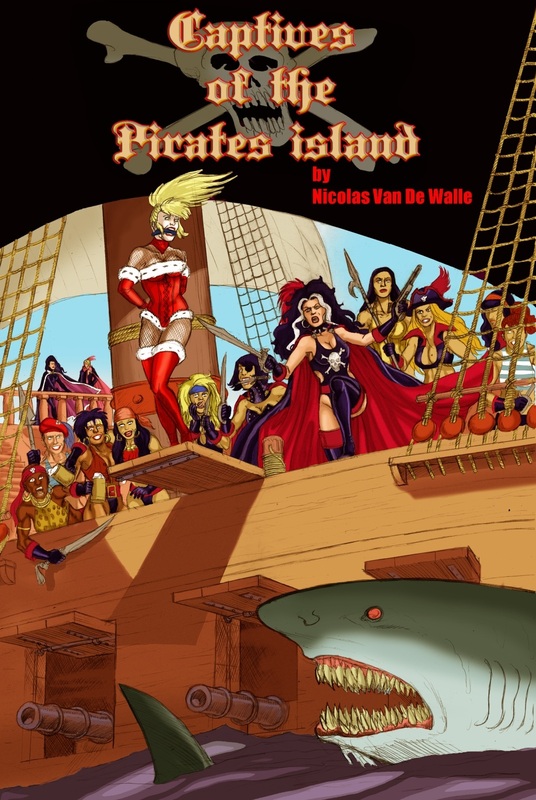 Plus to mark 2,000 we giving the first five pages of our bonus comic book Captives of the Pirate by Yacermino. If your not aware we brought access rights to Yacermino catalogue of art work both comics and pinup work it great stuff and you'll be seeing more soon enough. For now enjoy the 15 page update there more comics coming to the site very soon.